The first Spring Festival celebrates the returning light of Brighid - Celtic goddess and Christian saint. Brighid brings the energy of renewal, new life, light and hope. Scroll down the page to view the inspirational slideshow. This slideshow is dedicated to Brighid - archetypal symbol of new life and light, goddess of poetic inspiration, healing, midwifery and smithcraft; Celtic saint of wisdom and peace, bringing her light to the people of the world. The early weeks of the new year can seem dark and cold - often, this is the time when winter's cold cuts deepest and the long days of summer seem far away. Imbolc - or Candlemas - falls around the time of February 1st, and brings with it a promise - the promise that new life and growth, longer days and warmth, are returning to the land. Our ancestors would have looked to the earth and the sky, rather than the calendar, reading the language of nature to know when the time had arrived to celebrate this festival. This is the season when newborn lambs arrive and suckle at their mothers' breasts, snowdrops appear and the light grows. 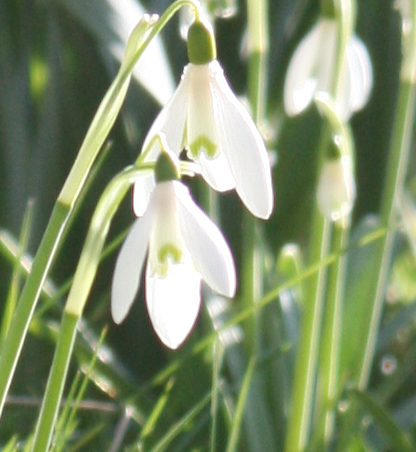 The snowdrop is also known as 'Bride's Footprints' in some parts of Scotland. 'Bride' is an old island name for Brighid. She is believed to carry her light through the dark winter landscape, bringing light and hope to all. As Celtic saint she is known for her healing presence and the miracles that she performed. Her light still burns in the ancient nunnery at Kildare in Ireland. 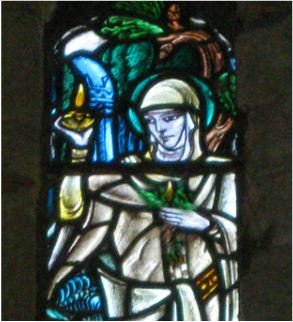 The theme of the slideshow is a reflection of my personal experience of Imbolc, of new life and light, and places that I associate with Brighid, such as the Well of Eternal Youth on the Isle of Iona, which some of us also know as 'Brighid's Well'. I have included photos of new lambs in the fields by my house, snowdrops breaking through snow and ice, a single sycamore seed lying on pristine white snow, with all the promise of 'seed light' that it contains. The Spiritual Harp Essence Music for this slideshow, was used to create the vibrational essence which is the Brighid Harp Essence. This essence, made with harp music and the resonance of sacred space and time, brings comfort, support and loving presence, for those times when we need extra support - maybe the sense of a loving hug from a mother, for reassurance and protection. Blessings of the this season of light, life and joy to you.